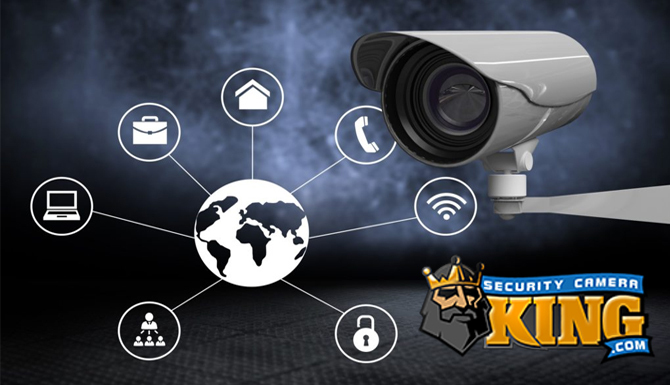 Cameras, and security camera monitoring is advancing technologically at a rapid pace. New technology now allows cameras to identify patterns. They use algorithms to interpret what the camera records. The cameras can identify a person from their walk and other features. This of course, can benefit many sectors of law enforcement and enhance personal security. Smart cameras are in use in large metropolitan areas in the United States that can recognize the sound of gunshots and alert police. However, for the cameras to be effective they need to be monitored closely. 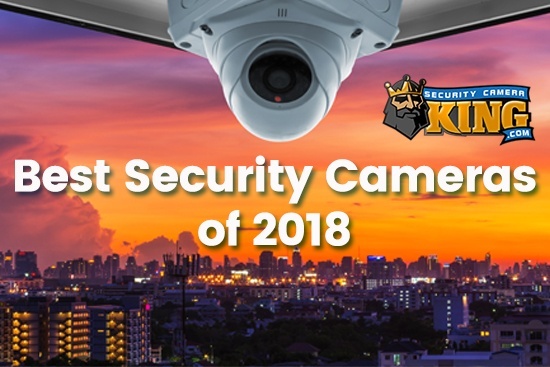 Notwithstanding, the cameras capabilities, human interaction and analysis is still a critical part of the overall security profile. Cameras can be programmed to analyze the way a person walks. Studies at the University of Maryland conclude that certain gaits can indicate if a person is a threat. The obvious places to locate these intelligent cameras would be airports, borders crossings, and any public gathering of large crowds. Security camera monitoring has taken on an entirely different meaning, in some cases. Essentially, the smart cameras can store and recall patterns that they had recorded days or weeks earlier. This allows the camera’s brain to recognize the patterns if they see them again. Personnel in charge of monitoring would be alerted to recurring patterns by the camera. There are numerous options from which to choose. Subsequently, the decision comes down to need and in some cases, location. There are wireless, as well as, hardwired systems available. Homeowners with small children will have different requirements and expectations, than would a small business owner. 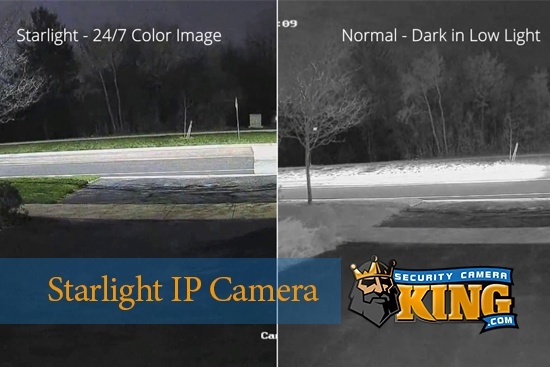 Security camera monitoring can be tailored to fit most needs. Parents of course, want reassurances their children are being properly cared for. Many choose the option of having a nanny, or babysitter come into their home to care for their children. Security cameras provide a way for them to check on their children at anytime. The ideal system would include wireless cameras that also provide real time audio, a receiver and software to connect to a home network. 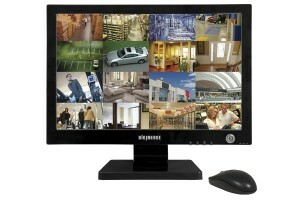 The network can be accessed through any computer to view real time images. The receiver and home computer should be adequately secured to prevent tampering. To access the system from work the receiver must be connected at home to a computer that is powered up. Cameras installed at front or back entrances provide another level of security. The ideal camera will record in color. Why do you need a camera that records in color installed at the front door? You hear the doorbell and check the live monitor to identify the visitor. You do not recognize them and the situation does not feel right. You do not respond and they attempt to force the door. Having color images helps in the identification process. You can point out they had a blue hat, red shirt and so forth. It is simply an additional tool for homeowners and law enforcement. Using a wireless system at the front door allows you to check visitors from any computer, or your smart phone from anywhere in the home. You as a homeowner may want security camera monitoring outside the house. Cameras can keep track of cars or pedestrians coming up the driveway. The cameras can be wireless or hardwired. They must be able to record in low light, and ones along a driveway should be motion activated. The cameras can be installed virtually anywhere. You can set up a monitoring room, which would include a receiver, digital video recorder or DVR and personal computer. The computer once connected to the receiver if using a wireless system can record and store the images from the cameras. Additional options for the cameras would include pan, tilt and zoom capabilities. You can control the options remotely using the computer or by using, a control stick provided with the camera. Owners have the option of switching from one camera view to another if they have multiple cameras. More advanced systems would allow you to view all images at one time. You have the same capabilities when accessing the system from work. There are times when simply having a camera in plain view can prevent certain crimes. The camera can be a decoy or a dummy camera. However, there are certain situations where having high-resolution images and recordings are needed. In certain businesses, it may be necessary to have the security staff monitor in real time up to 24 hours a day. These businesses can include jewelry stores, casinos, pawnshops, hotels, industrial complexes and office buildings. Each business would have different requirements and are likely to have specifically designed systems. Casinos for example focus on the clients of the casinos as well as the employees. They typically have a security staff monitoring the casino floor 24 hours a day. They are scanning for known cheats, theft by dealers, and problems in general. Many are now using facial recognition software to identify card counters and others banned from the business. Their monitoring room staff can focus on faces, hands and even cards held by the players. The casinos invest heavily in their security camera monitoring systems, but they receive a tremendous return on that investment. The typical industrial complex may have several monitoring areas. There may be a guardhouse at the entrance gate to screen visitors. There will be a camera mounted that captures the license plate number and records the image of the driver. Farther back in the complex a room will be set up where a series of monitors are located. There is likely to be at least two security personnel inside. Each guard would have a designated area to scan, for intruders and malfunctioning equipment, in some cases. In certain industries, laboratories and work areas would be monitored, as well. Industrial espionage is always a concern in some sectors, so many systems are designed to monitor for that. Just the fact a system is in place prevents many people from carrying off trades secrets. Cameras continually scan parking areas, work areas and lobbies. There will be cameras concealed behind the reception desk in the entrance lobby. Before the introduction of intelligent cameras, security staff looked for anomalies. People with something to hide generally try to hide their identity from a camera. Wearing heavy coats in a warm building and hats with wide brims are just several ways. Weight and height of a person can be calculated using a smart camera. Obviously, anyone that is aware of these type cameras will attempt to deceive the camera. Studies indicate that a person’s walk is unique to that individual. Experts refer to this as behavioral biometrics. The science is being applied in many surveillance operations. It is becoming increasingly difficult to fool a camera, regardless of the disguise. Trained security personnel look at the person as a whole in identification. They realize that relying solely on facial recognition leads to errors. This new science and or technology have wide-ranging applications. Logically the next step is to have cameras positioned to screen employees as they enter a complex. The camera will note their clothing, what they are carrying and will match their face, height and weight to what is known about that individual. The camera would then make note of any anomalies and alert security personnel. The camera can then track that employee later in the day and will determine if they changed clothes, switched briefcases, or even changed their hair color. Without the technology, human security personnel would monitor and make note of these changes. Monitoring cameras for hours on end becomes tedious. Even highly trained security staff can overlook things. You may see the same person everyday for weeks, months or longer. You make a quick decision, you have seen what you expect to see and move to the next monitor. Highly trained professionals know this and use it against security staff. Operatives that have infiltrated a company as an employee will always show the security personnel what they expect to see. This technique is simply introducing an anomaly from the beginning. Once a person becomes accustomed to seeing the same behavior on a continual basis, they soon find nothing wrong with it. Eventually the scrutiny will lessen to a quick glance. Soon the operative has the run of the place, and may very well be carrying off sensitive document on a daily basis. For any organization to conduct effective security monitoring, they must recognize certain facts about human behavior. Counter measure must be implemented to defeat human nature. Rotate guards out of the monitoring room more often. Have enough staff so they can go several days without looking at a screen. As a homeowner, ask yourself this. Are you more concerned about seeing a strange car drive by the house once, or multiple times? The first times may raise some concern, nothing happens and a few hours later you see the same car. Some may immediately come up with reason, they moved up the street, they might be looking to buy a home and so forth. The driver is training you. After the third time and nothing has happened, you may have decided they live nearby. You have become accustomed to seeing that car. This is how things are overlooked when conducting security monitoring. Once a monitoring system is installed, some at the beginning may see an intruder behind every shrub or tree. It takes a little practice and time to interpret what you are looking at. It is similar to always driving to a location and then one day you walk there. The terrain looks different and you will see things walking that you did not while driving. Walk your property, and identify things that you cannot identify on camera. A log on camera may look like a person laying in wait. Bushes and hedges take on a completely new meaning when viewed through a camera monitor.